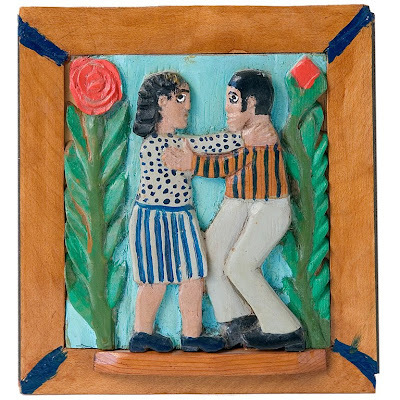 Hand painted bas-relief wall hanging. Wood, polychrome, bone, animal hair, glass eyes. Possibly used for Odd Fellows Rituals. 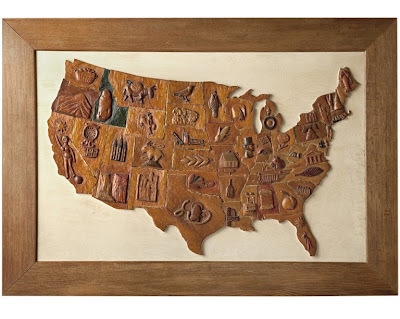 Each state individually carved then pieced together. Each state has a symbol representation. Oak frame with white oak background. Front door opens, glass windows. 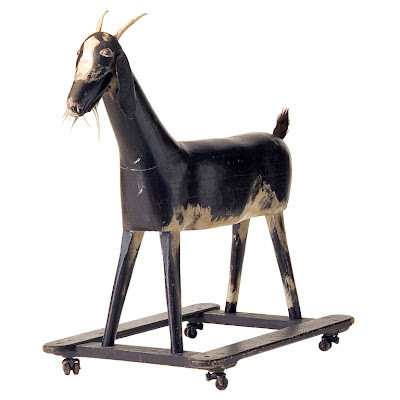 HERE ARE SOME SELECTED FOLK ART IMAGES FROM 1stdibs, objects that for me have a strong sense of authenticity. 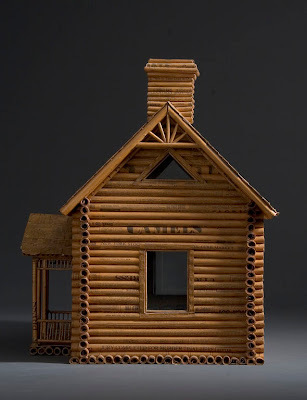 I especially like the newspaper log cabin. Made from rolled up newspapers from the American Depression years, this house won a blue ribbon in a 1932 State Fair. 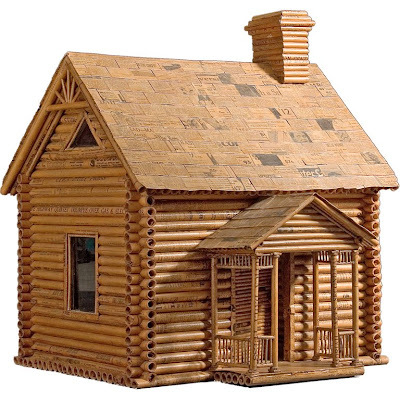 I would imagine the log cabin would be most people's favourite - it's definitely mine. Cabin is clever, but I'm loving that goat.